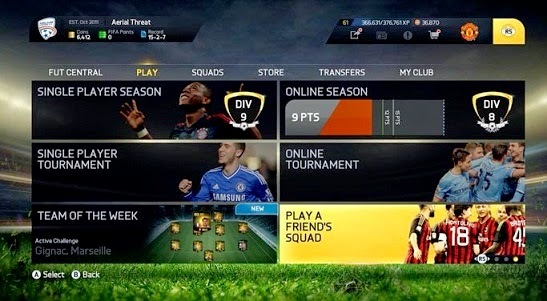 Fifa 15 has brought several changes, including the popular Ultimate Team mode (UTM), where players must manage teams hiring athletes, stadiums buying and choosing formations. Besides the competitive online mode, players can also take on friends in friendly matches, or even test his team in a quick game. Check out the tutorial. Step 1: Select the Ultimate Team menu option, navigate "Play" tab, and in the bottom right, select "Meeting the cast of a friend." Step 2: First, select one of your casts. You can also select the uniforms normally. Step 3: Now select one of your friends from Live / PSN to face. You will play as last training used by the player. Step 4: Press Y / Triangle, you can still see what the current squad player. Step 5: After you set up your team, click on "Play Game" to begin. Step 6: If you want to meet one of his friends in a game "real", the Ultimate Team just won the mode of Seasons Friendlies. Select it in the "Play" tab. Step 7: On this screen, you can choose one of your friends to play. Step 8: In the menu, click on "Play Game" button to send an invitation to the user. When he accepts, the game will start.